Black Mesa Source is a complete remake of original Half-Life game. As the name suggests, the game is based on Source Engine which has been used in making Half-Life 2. Black Mesa has broken all records of popularity with massive downloads in just few days. The game is freely available for Windows. Black Mesa is full of funny references and jokes. 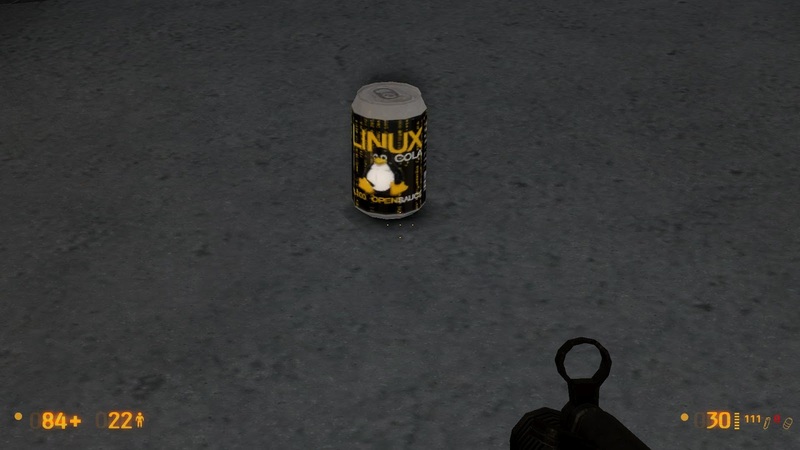 There is one such incident in game where a can of cola is shown with a rather unique branding of 'Linux Cola, 100% Open Sauce'. Black Mesa developers haven't done this to offend anyone but 'sauce' is rather a pun for source. They are saying that the game is 100% open source. Now that they have shown interest in Linux, I hope that the game will come to Linux when Valve releases Source Engine and SDK for Linux in future.